They are your co-workers, friends and neighbors. They serve in the military, are in law enforcement and work in King County government. They are Muslims, a faith with over 1-billion worshipers, and they are increasingly under attack. 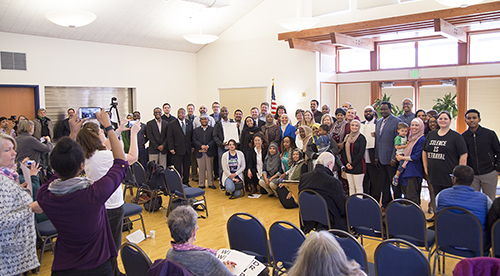 Responding to the growing acts of religious intolerance not only in King County, but around the world, the Metropolitan King County Council condemned acts of violence against those exercising their constitutionally protected right to worship. The proclamation recognizes the killing of 50 worshipers inside two mosques in Christchurch, New Zealand on March 15 by a self-proclaimed white nationalist. Read more.